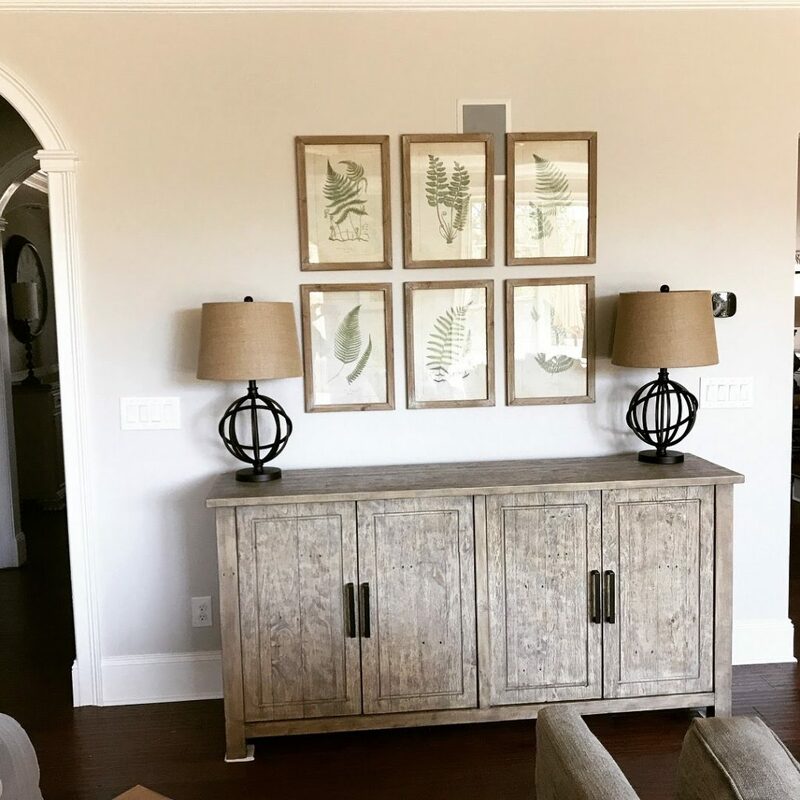 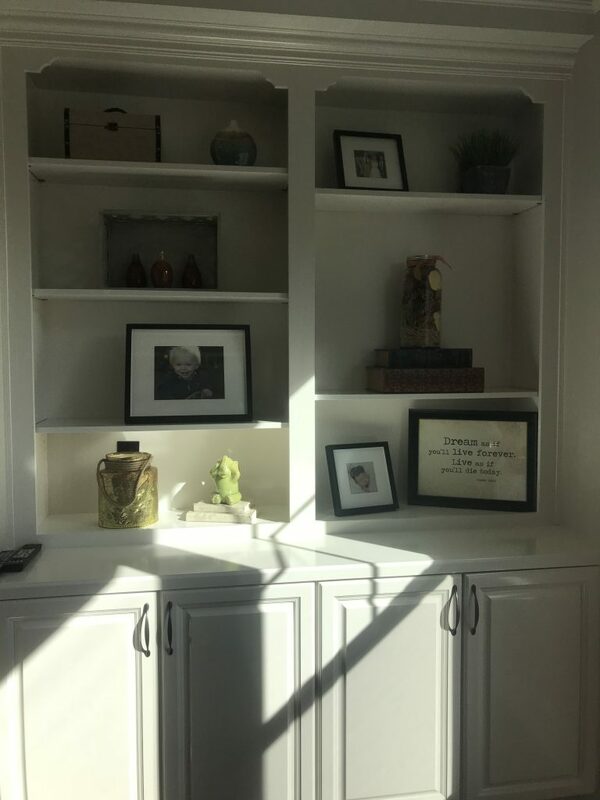 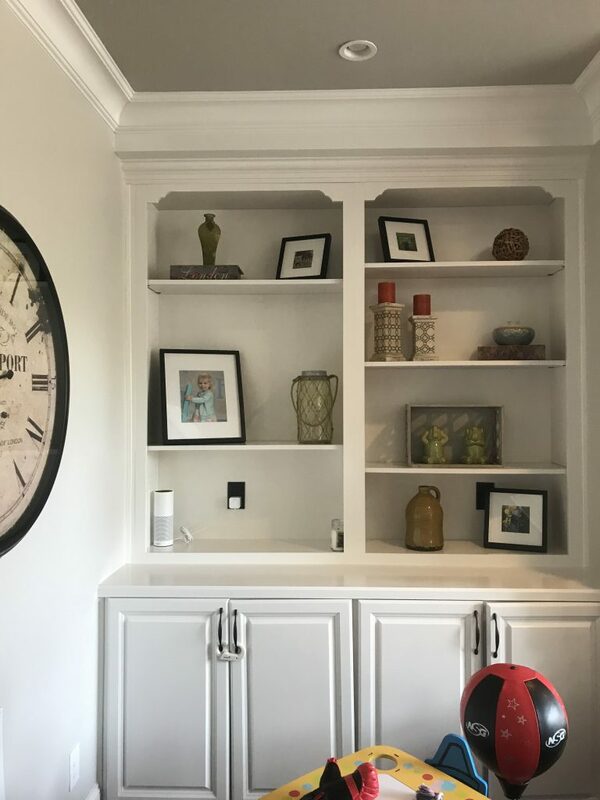 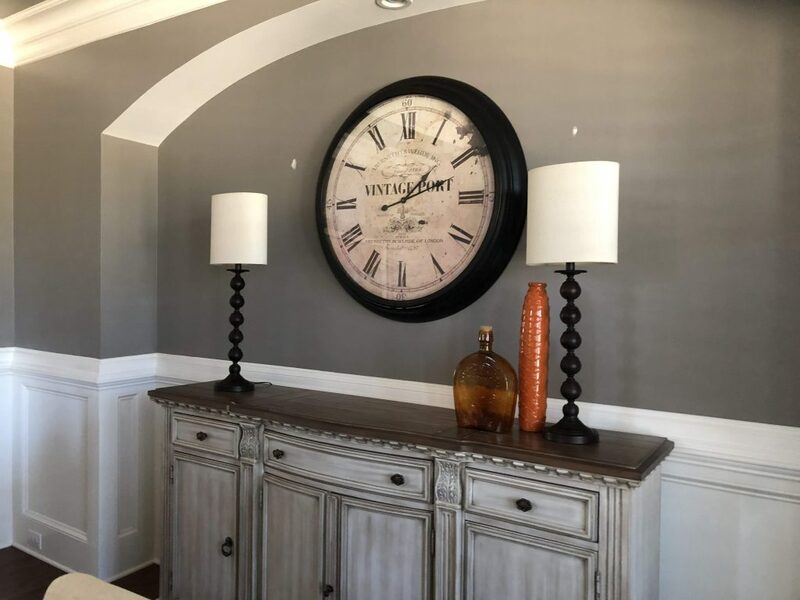 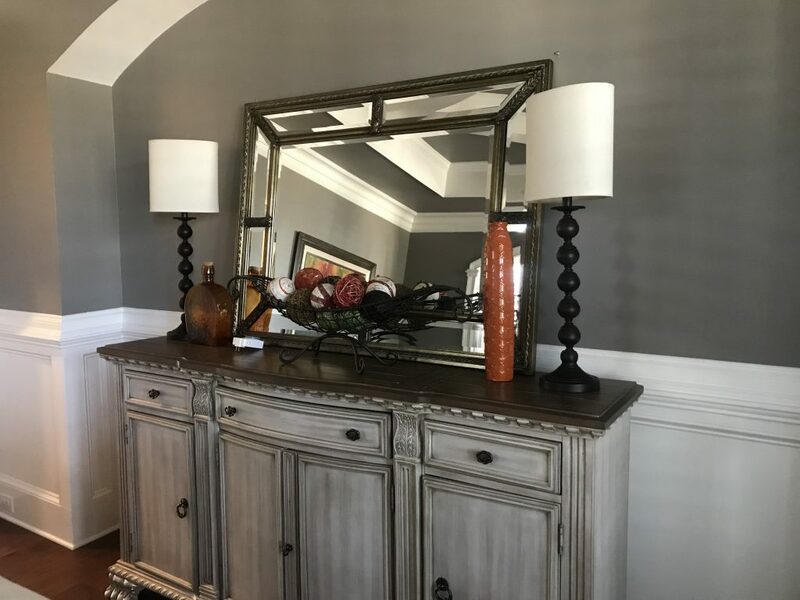 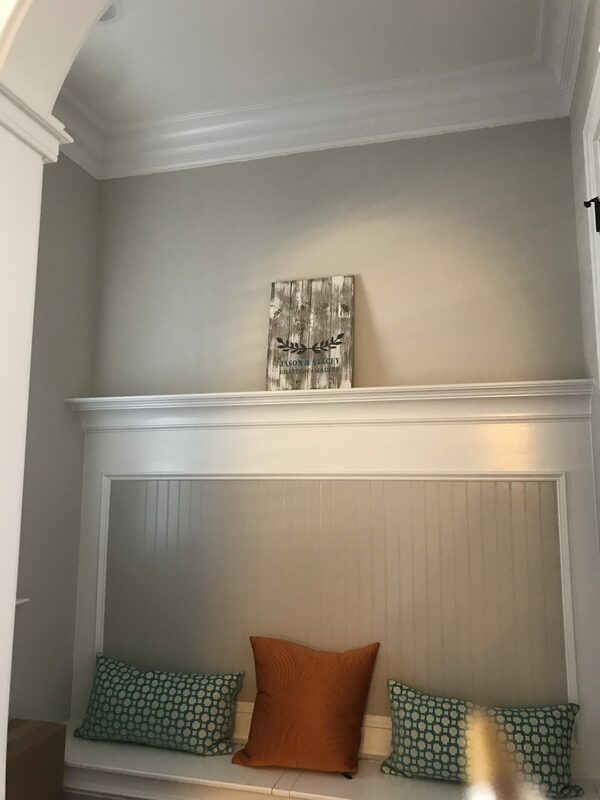 Jason and Stacey reached out to us when they were ready to change up their traditional style and bring in some refined farmhouse neutrals. 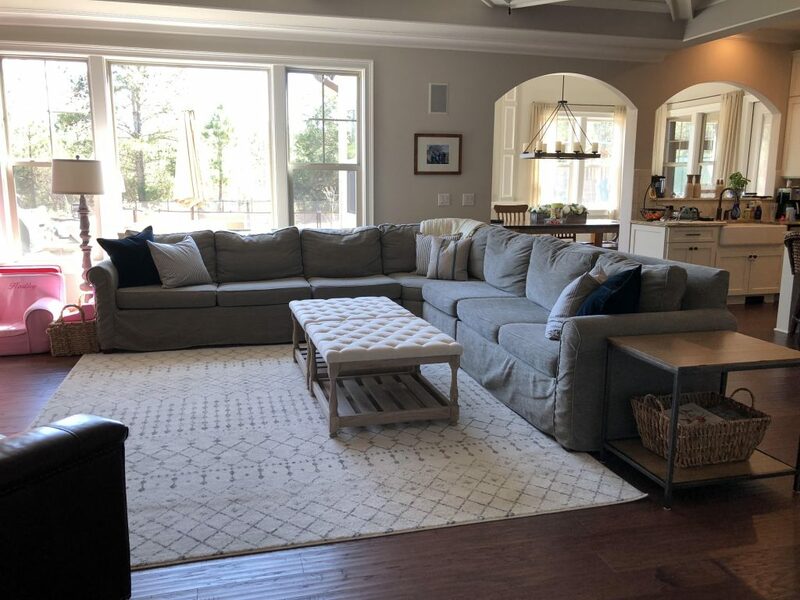 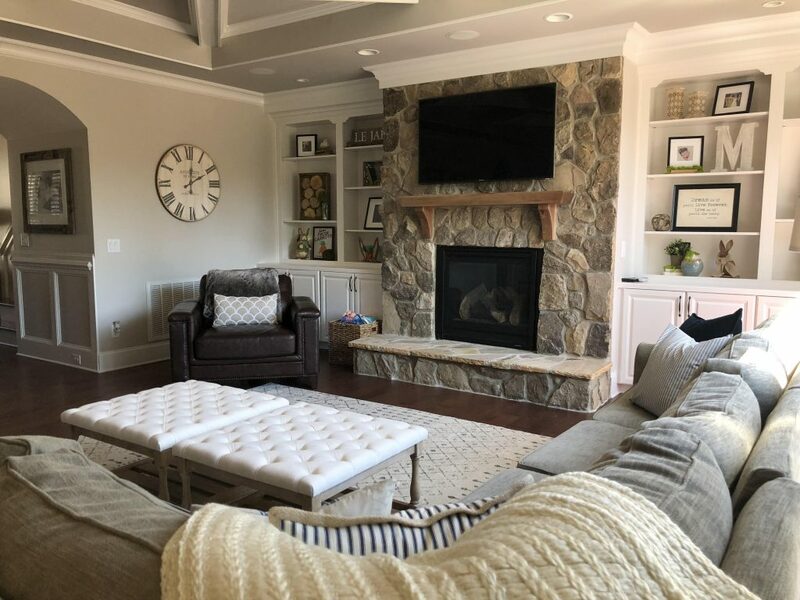 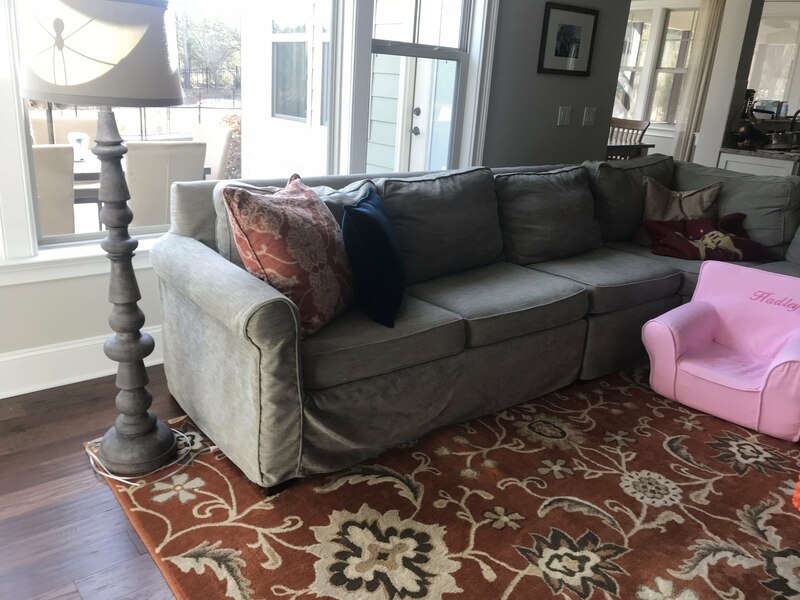 They kept their super comfy sofa but we were able to brighten up their entire family room with a new rug, a pair of ottomans, and a bit of rearranging to their gorgeous built-ins. 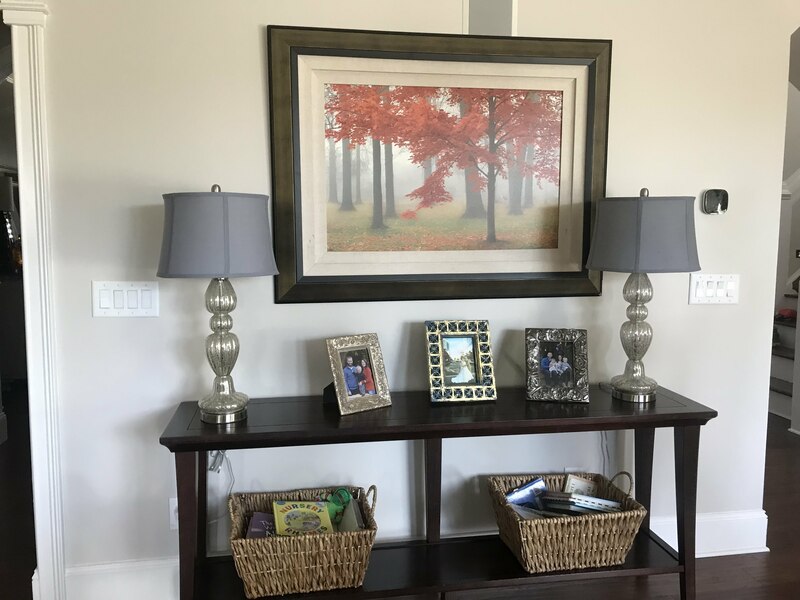 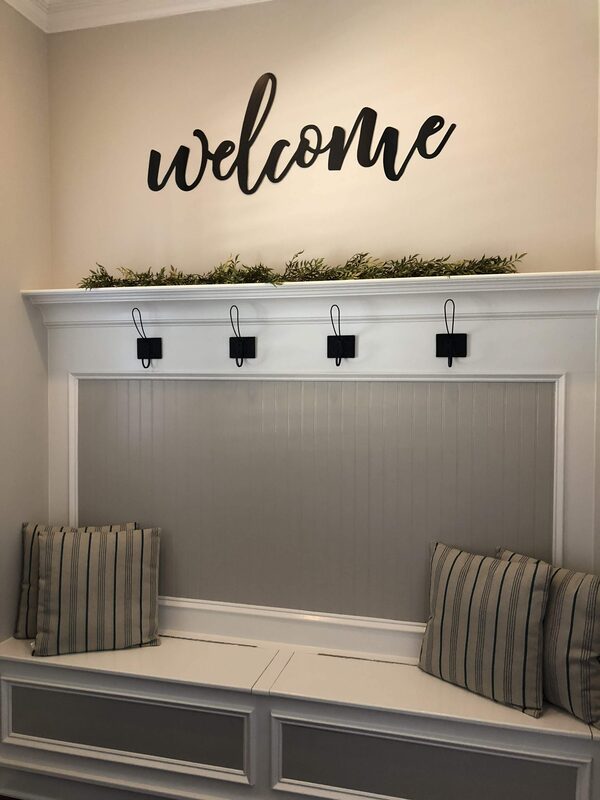 And take a look at how a bit of green, some new pillows, and functional hooks warmed up their entryway!